Have you ever thought about diving into the nature, in the silence and in the harmony that the mountain gives us, leaving the car aside, away from the smog and the city hustle and bustle? There are magical places that decided to bet on the future and the soft mobility. 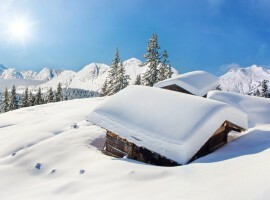 Many Alpine villages banned cars from their territory, to protect the mountain environment in which they are located and to let the visitor try a new way to live holidays. Mountain is the perfect destination to fill up with pure air and relax. 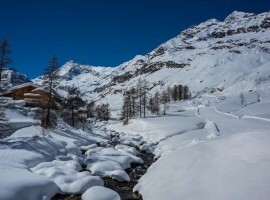 Some Alpine places, pushed by the health of the environment, have decided to forbid the use of cars, giving the visitors the possibility to spend eco-sustainable, relaxing and unique holidays. In these places you can move on foot, on skis or by electrical means. These small realities are just a few, especially in Italy, but we hope they will increase. 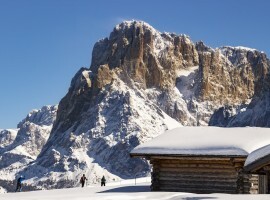 We would like to introduce five interesting alternatives that you can find on the Italian Alps. It’s not the quantity but the quality that counts! 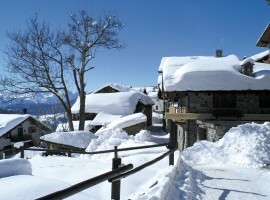 Chamois, the highest place in Aosta Valley, perfect destination for a holiday in the snow, without using your car. You can find this small and characteristic town of Valtournenche at an altitude of 1815 meters, in front of the majestic Mount Cervino. It can be reached by the cableway that starts from Buisson, at the bottom of the valley, or along an impervious mule track. All strictly without cars, because Chamois is one of the Alpine Pearls and “car-free” locations. 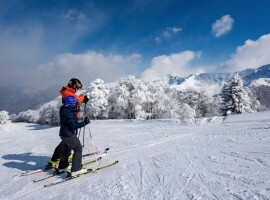 In the skiing area it’s possible to ski and enjoy the fabulous landscape. 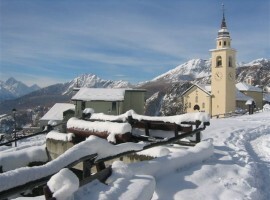 You can choose whether to be carried to this enchanting place by a chair lift or a cableway, leading directly to the Monte Mera skiing area, in Alta Valsesia. Here everything, really everything, is reachable on skis: hotel, cafe, shops, to make you fully live every moment of the day. The thrill of getting in one of the most ancient cableways in Europe dated 1912 (restored in 2008) can take you back to the past, when soft mobility was the ordinary rule and not a necessity; when there were not cars and when life flowed with the times dictated by nature. 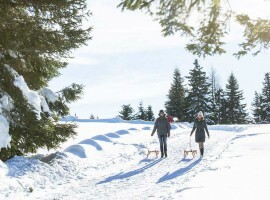 In this small place of Val Venosta you can taste the relax and enjoy wonders of the mountain with excursions while the children, but also the adults, can have a good time sledding on 2 reserved slopes. 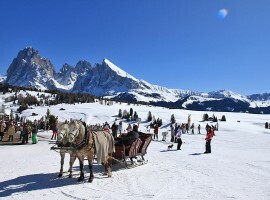 In the beautiful Alpe di Siusi and in the gorgeous Val Gardena you can find 175 km of ski slopes, 80 km of cross-country trails, 30 km walking paths and 6 sled slopes. Access to cars is allowed from 17 to 9 during the winter season. 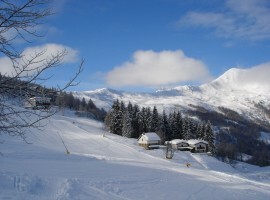 In the daytime Alpe can be reached by cableway or by bus. 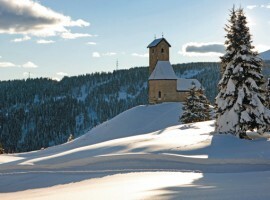 Try the absolute relax of this small place in Val Passiria where, in 2007, a soft mobility project has been inaugurated that it foresees the closing of the town to the traffic and an offer of alternative public transport. 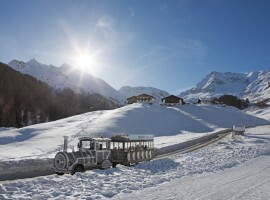 You can reach the ski slopes by a minibus or by the Dorf Express, a rubberized train. 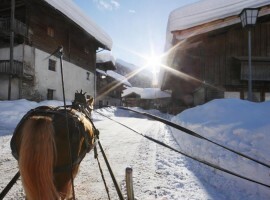 For a romantic trip you can choose the carriage hauled by horses. What are you waiting for? Let yourself be carried away by emotions and not by your car. Let the beauty of nature and its landscapes fill your heart. This experience will take your breath away! 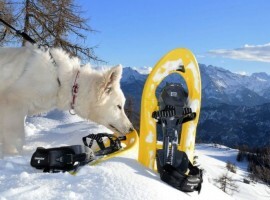 This entry was posted in journeys and tagged alpe di mera, alpe di siusi, Alpine Pearls, Alps, car-free holiday, Chamois, monte san vigilio, plan in passiria, soft mobility, sustainable mobility. Bookmark the permalink.